Ugly lighting from pop-up flash - no more? Using a camera’s built-in flash is certainly convenient but does not always generate the most aesthetically pleasing lighting for your photos. A common complaint is that, because the flash is offset a small distance from the lens, harsh shadows are cast under people’s chins in snapshots. Hold the camera sideways for a vertical shot and the shadow can look even more unnatural. Ring-flashes, which surround the camera lens, are one solution, but not very common. They are typically used in niche professional applications such as close-up nature, dental and forensic images or certain fashion shoots – but too dim, unwieldy or expensive to be used on consumer cameras. Panasonic has filed a patent in Japan for a piece of software – ostensibly to be baked into compact camera firmware – that could, in theory, eliminate the problem. The procedure (pictured) uses the distance to the subject (presumably obtained from the focus of the lens) to calculate the anticipated size of the shadow cast behind it, which is then edited out in post-processing. Since the company officially stopped manufacturing mobile phones (no, I’ve never seen a Panasonic blower either) last year, mobile snappers might not reap the benefits of such technology unless it is licensed to someone else, such as Samsung, Nokia or Apple. 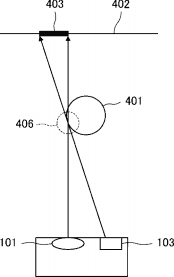 But we could see it implemented in the Lumix line of cameras. If at all. What do you think of this idea? Let us know in the comments.